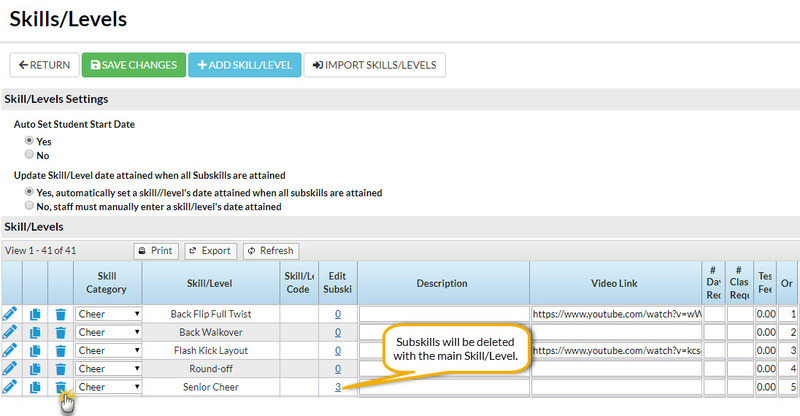 To delete a skill from your database point to Students and select Skills/Levels. Click on the Garbage Can icon next to the skill/level you wish to delete. The skill and all of its subskills will be removed. If the skill/level being deleted has already been added to a class it will also be removed from the Class record. If a student had previously attained that skill/level it will be retained in their Student record. 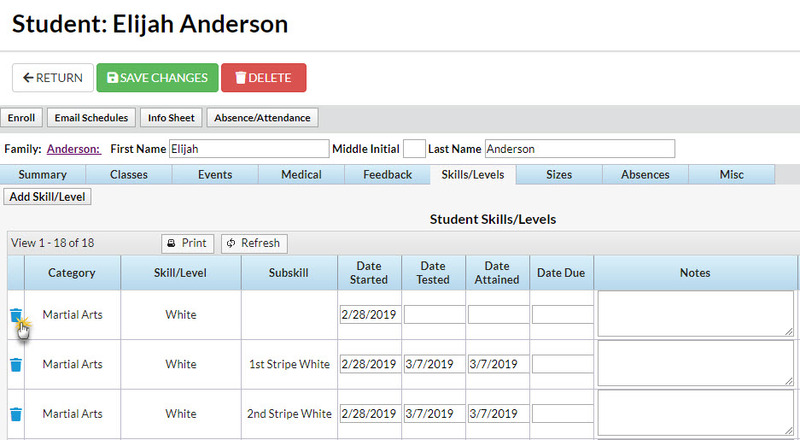 To delete a single skill from the student, go the Student's record > Skills/Levels tab and click the Garbage Can icon next to the skill/level you wish to delete. The skill and all of its subskills will be removed. The skill/level will no longer appear on the Student record or the Class record for this particular student.